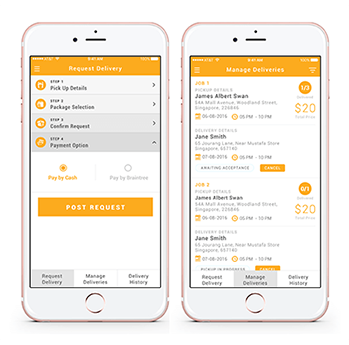 A platform which offers users to book a parcel delivery from destination A to destination B using CONSUMER APP and on other end allowing delivery agents to accept the parcel delivery request at a pre-defined rate and deliver it to the recipient using DELIVERY APP. 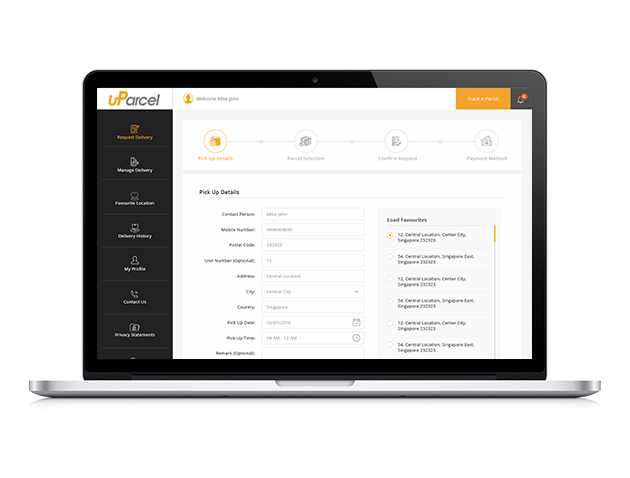 A platform that allows consumers to track the current location of their parcel out for delivery and keep them notified of the parcel current status. Also, enabling receiver end to confirm the parcel received by digitally signing on the agent app itself. An optimum utilization of MAP services, app notifications, location tracking, secure payment gateway, digital signature, review, rating & a very well structured CMS system for ADMIN are some highlights of these project. 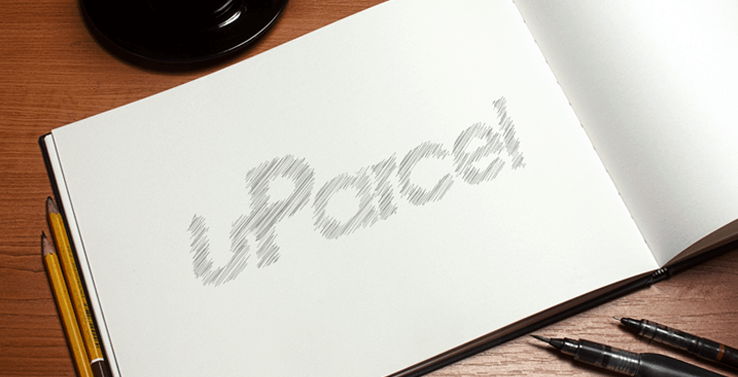 In the current era of evolving disruptive technologies, uParcel has made another strong leap in the market challenging the traditional & existing market of parcel delivery service. 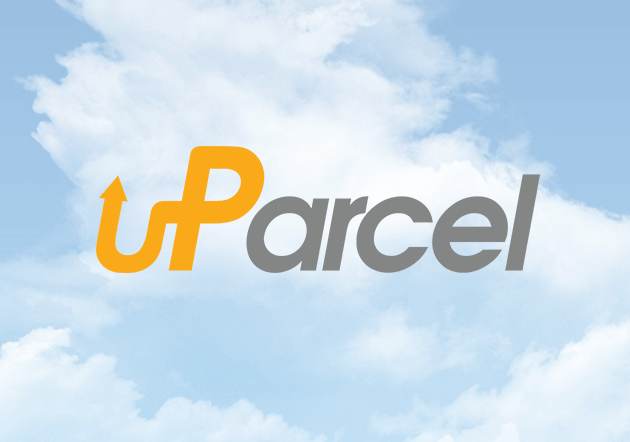 Currently operating within Singapore, uParcel is playing its hands well in technology on a similar line of UBER & AIRBNB concept. 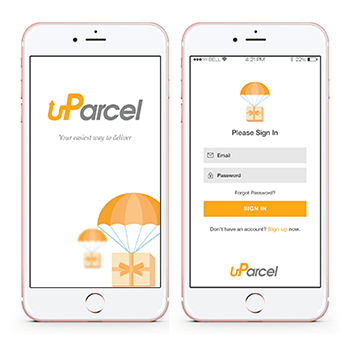 It is offering a robust Mobile app & Web platform for Customers and Parcel Delivery agents to interact and suffice their individual needs from booking a parcel delivery online and agents accomplishing a timely and secure delivery. 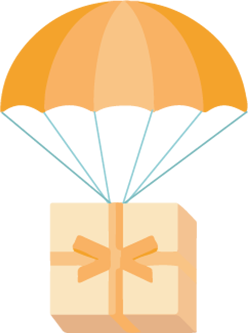 FOUNDED by 2 very enthusiasts and experienced industry players, the venture is sustaining and at the same time expanding tremendously to ensure continued loop of exciting new features within its platform for better consumer engagement. YES, It all started from a very first email by a Gorgeous Lady whom we got to know in person much later. At the initial stage of discussion, we had a very brief idea about the whole concept. Though very appealing idea but the vision was quite unclear. It was time to bring the ideas on paper. Started with WIREFRAMING, furnishing way ahead to draft each wireframe of the screen the end user will have to navigate through. Based on the wireframe, the actual MOCKUP with intuitive colors was built and submitted to the client for approval. Things started moving on, more mock-up approved and consigning them to the development stage was the way ahead. Continued and dedicated development efforts, project module completion were achieved. Weekly face to face meeting, Weekly update reports, Weekly feedback reports, Rigorous testing from TQC team and a PARTY on each milestone completion started rolling on. The majority of the app sections were in place and READY for a BETA launch. The App launch with compelling digital marketing and a success known today. 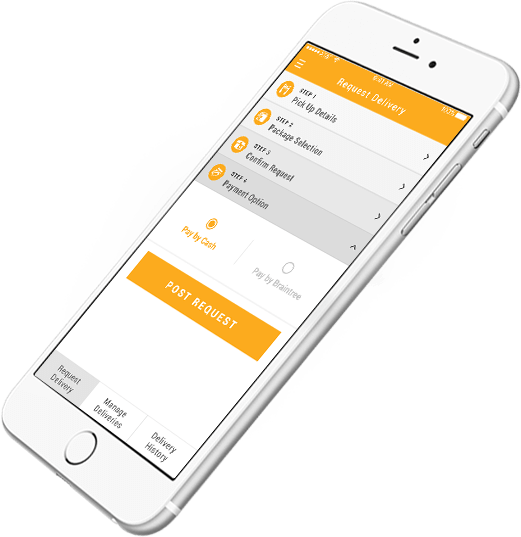 Several versions of the app have been released till date with ever growing need and interest from its users for new features to bring in. The service we ensured was a successful launch of an idea right from the design phase till the final submission to app stores and support thereafter. Need not mention, PROJECT MANAGER playing a vital role in smooth flow throughout the phases. Few challenges but worth noting them down. 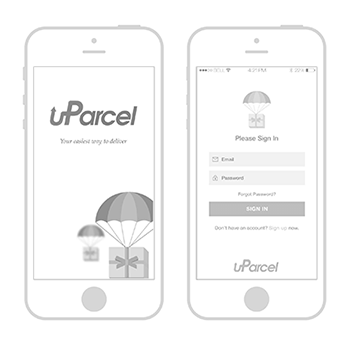 To minimize the process-flow for consumer app in placing a parcel delivery request. 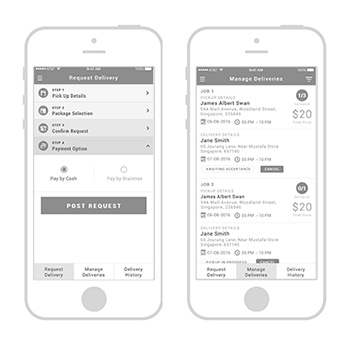 Expectation to cover the flow within 3 simple steps namely Specify Pick-up, Specify Destination and Upload Parcel Details. Server architecture to support huge crowd accessing the app platform concurrently, cause some lag issues for end users. Defining boundaries across Singapore to differentiate regions applicable for the additional surcharge. Seamless new version launch with new features and timely support at such crucial time caused some SLEEPLESS nights. Hahaha.